The Walking Dead star Danai Gurira has been cast as Afeni Shakur, mother of the late rapper Tupac Shakur, in the biopic All Eyez on Me, a spokesperson for Morgan Creek Productions confirmed to EW. 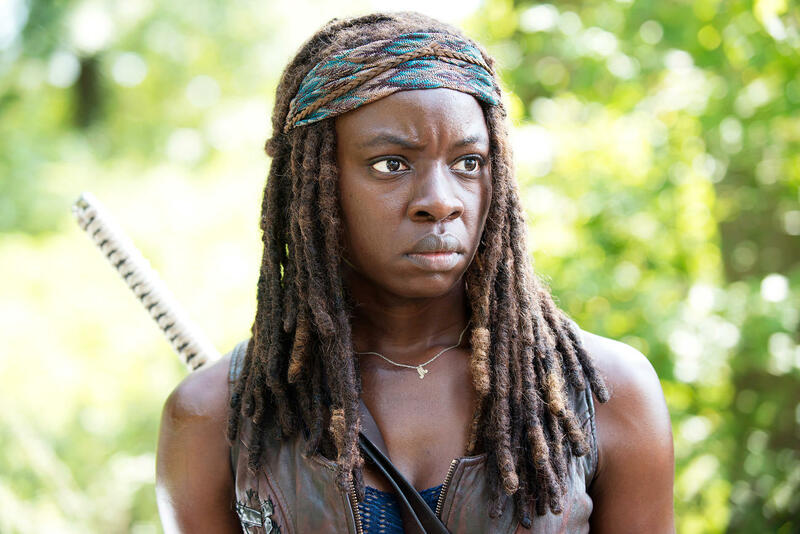 Gurira, a Zimbabwean-American actress best known for playing the sword-wielding warrior Michonne on AMC's hit zombie show, joins a cast led by Demetrius Shipp Jr, a relative newcomer who bears a striking resemblance to Tupac. Veteran music video director Benny Boom is helming the film, which is currently in production in Atlanta after weathering years of setbacks and false starts. At one point, in 2009, Afeni Shakur and Morgan Creek fought a legal battle over the project; the dispute has since been resolved, and Afeni Shakur is an executive producer on the film. Open Road will distribute All Eyez on Me, which is to chronicle Tupac's rise to stardom as a hip-hop artist and actor, his imprisonment for sexual assault, his time at the controversial label Death Row Records, and his involvement in the East Coast-West Coast rap feud of the 1990s. Deadline first reported the news about Gurira boarding the film.